New Orleans Street Adventures - St. Charles | Experience New Orleans! In New Orleans, you start a gumbo with a “roux” and an adventure with a “rue” or street. St. Charles Avenue is one of the most famous and admired thoroughfares in America. Whether you experience it by foot, bike, car or streetcar, you’ll find there is much to see and do on, and just off, this rue. 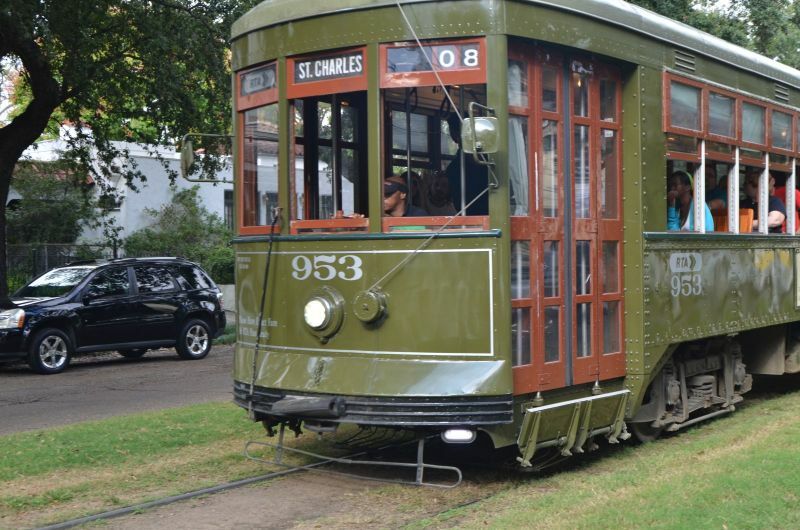 For more than 165 years, the St. Charles Streetcar has been rattling down St. Charles Avenue, drowning out the oohing and ahing passengers inside. Like Southern belles, these elegant green ladies sashay from downtown to the Garden District to Uptown New Orleans, under a canopy of Live Oaks. They pass breathtaking mansions, gorgeous places of worship, famous universities and gorgeous Audubon Park. 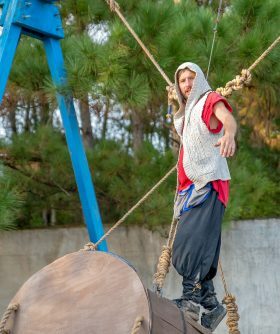 Here are just a few of the highlights. Designed by famous architect James Gallier, Jr, the 1857 Diocesan House marks Gallier’s transition from the Italianate style to Greek Revival. Lavania G. Dabney, its first owner, was one to the first women to own her own home in the Garden District. 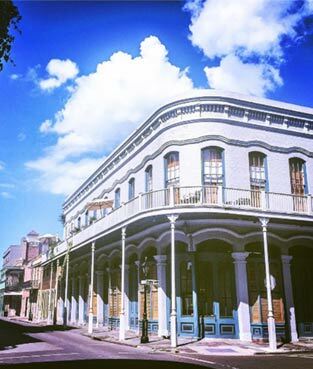 In 1857, John Vittie built “The Marigny” for Sophronie Claiborne-Marigny, a lady of French Queen Amelie’s Court and the daughter of Louisiana’s first mayor. The house has also served as a school and a convent. Morris-Downman was built in 1888 for John A. Morris, the of founder of the Louisiana Lottery. The architect was Thomas Sully, who designed more homes on St. Charles than anyone else, earning him the moniker, “The King of Uptown Architecture.” Cypress merchant Robert Downman, king of Rex in 1907, bought the house from Morris in 1906. The Elms Mansion was built in 1869 and originally owned by Captain Watson Van Benthuysen, II, President of the Streetcar Company. Confederate President Jefferson Davis was a frequent guest in his home. Today it’s a favorite spot for weddings and other special events. The Columns Hotel belonged to the owner of the largest manufacturer of cigars in the country in1883. In 1978, it was featured in the film “Pretty Baby”, starring Brooke Shields. Today, it remains one of New Orleans’ favorite front porches. Come sit, sip and take in the beauty. The Mediterranean-style Smith House was built in 1906 for the president of the New Orleans Cotton Exchange, William Smith. What a gorgeous home for someone with such a plain name. The “ANTHEMIOM” was the headquarters for the Japanese Consulate from 1938 to 1941. This beautiful yet simple Colonial style home makes a strong contrast to its elaborate Greek Revival neighbors. The Brown Mansion is the largest mansion on St. Charles Avenue. This Romanesque Revival was built for a cotton king W.P. Brown in 1904. In the curve at 4905 St. Charles, you’ll find the Coe House. The mansion is Eastlake/Italianate and has a side-hall double gallery, a popular style in mid-nineteenth century New Orleans. You can’t judge a book by its cover or a house by its exterior. The 1911 red brick Colonial-Revival known as the Rosenberg House may be dominated by Corinthian columns on the outside, but the interior reflects more modern tastes of the family who built it. The Wedding Cake House, was built in 1896. With its beveled-glass front door, this Victorian colonial-revival home is said to have one of the most beautiful entryways in the city. The Latter Library is a place to check out books as well as great architecture. This neo-Italianate home belonged to Mark Isaacs, the founder of Maison Blanche. one of the city’s largest department stores. After his death, the home was owned by Frank B. Williams and his silent movie star wife, Marguerite Clark. Tulane President’s House was built by a cotton broker in 1907. Later on, Samuel Zemurray, of the United Fruit Company, called it home. This Russian mogul made his fortune in bananas of which he had many. One of the New Orleans Garden District's most famous residents, Mark Twain, said, “No houses could well be in better harmony with their surroundings.” The same is true of all the homes on St. Charles Avenue. Come take it all in. For a list of guided city tours, including St. Charles Avenue, click here. For information on restaurant choices near the streetcar line, including legendary favorites Commander’s Palace and Pascal’s Manale, click here.